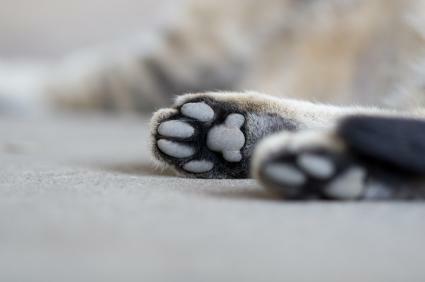 A cat's paw print has a disctinct look that varies a little between species of feline. 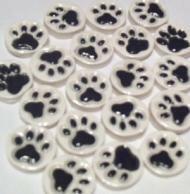 Take a look at some examples and consider how you can use your cat's prints to make keepsakes and crafts. Cats vary greatly in size depending on which species and breed they belong to, so there are many different kinds of cat paw prints scattered around the globe. From silver tabbies to Siberian tigers, prints can range from about an inch to over five inches across! 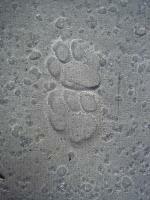 Take a look at various paw prints. There's no need to explain to a cat lover about the emotional benefits of pet ownership. They are such a large part of people's lives that they consider them family. Cats leave their impression throughout houses, towns and, indeed, the entire world. 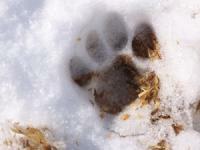 Here are a few places that you'll undoubtedly find paw prints, if you're willing to look. While cat paws usually leave an indentation that shows four little toes, some cats are born with a genetic abnormality that gives them an extra toe on the inside of their foot, or a "thumb". These cats are called polydactyls, and they leave a very different paw print wherever they go. 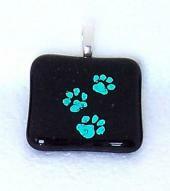 A common motif in art, the cat paw print is a symbol of both nature and companionship. 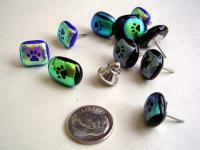 Little paws appear throughout the world in all forms of artwork, from sculptures to greeting cards and even pop up in poetry and prose. 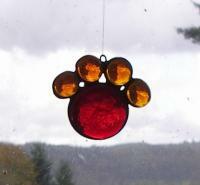 There are even kits available for cat owners to turn their pet's paw print into a memento like the Paw print ornament kit. In 2008, the Blanco 4-meter Telescope took a photo of the Cat's Paw Nebula, an emission nebula about 5,500 light years away. Originally discovered by John Herschel in 1837, this distant body resembles a cat's paw print. For thousands of years, cats have left a long-lasting impression on mankind. Cats were revered as powerful beings in ancient Egypt, and the Japanese consider the beckoning cat a symbol of good luck. There's no denying that these furry creatures have captivated people's hearts, and their paw prints have become an important symbol of their presence in many people's lives. 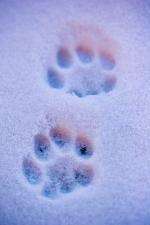 To the untrained eye, it's difficult to tell the difference between cat and dog tracks. Both animals have four toes on their front and back feet, but there is a key feature that differentiates them. Take a close look at the print - do you see small triangular marks in front of each toe? These are claw marks. 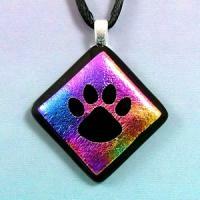 Cats walk with their claws retracted, so a feline paw print will show no sign of them. On the other hand, dog claws are always out and leave an imprint when they walk or run. 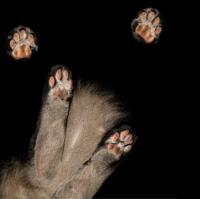 The next time you see feline paw prints, perhaps you'll look at them in a different light.